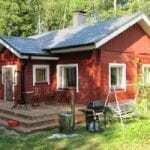 Santonen waterfront cottage with fridge, freezer, stove, coffee-maker, microwave oven, electric kettle, fireplace, sauna and washroom, TV, radio, bbq, fish smoking oven, swing, patio, garden furniture and a boat. Firewood included in the fee. Pillows and blankets in the cottage, bed linen at an extra fee of 18 euros per person. You may also prefer to bring your own bedsheets. 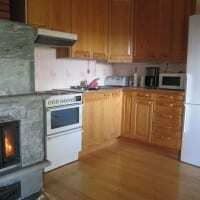 Cleaning of the cottage at the end of your stay for €85, by advance arrangement. Price: 1 night €200, 2 nights €250, 3 nights €345, 4 nights €440, 5 nights €525, 6 nights €600€ and a week’s stay €665 + weekend extra €10/night, Mid-Summer Eve or Day extra fee of €50/night. 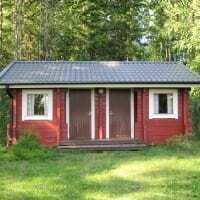 Advance fee of one night when booking and receipt of the payment of the balance when collecting the key for the cottage. The key can be collected as per agreement. Any damaged goods or property and lost key and any expenses shall be the visitor’s liability. 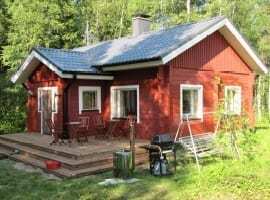 The cottage is available on year-round basis. 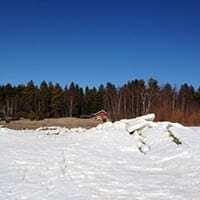 Enquire winter season, 1.9 to 31.5, offers.